Culpeper welcomed riders back to HITS Commonwealth Park with another beautiful week in the Heart of Virginia's Horse Country. Riders soaked up the sunshine and captured the blue ribbons and champion titles they were hoping for at the Constitution Classic. We kicked off the week in the Grand Prix Ring with the $5,000 Open Welcome where Tracy Magness and INTENZ VAN HD took home top honors with a lightning fast jump-off in 45.952. Jennifer Brennan and MAC would take home the second place ribbon, followed by Gavin Moylan and BALOUS DIAMOND to a third place finish. Randy Johnson and CAMPARO would join us in the Winner's Circle to take home fourth. Aidan Smith Fullerton and AS DU COUR would round out the top five. Magness followed up her win from Wednesday with a blue ribbon finish in the $10,000 Johnson Horse Transportation Prix crossing the timers in 38.842 aboard INTENZ VAN HD to capture top honors. Taking home second place was Marylisa Leffler and DALIANTE M in a time of 39.369. Dominique Damico would take home both the third and fifth place ribbons with DORELLA HBC and WOODSTOCK O in respective times of 40.728 and a four-fault time of 37.450. Brennan and MAC would take home the fourth place honors in a time of 40.784. $10,000 Johnson Horse Transportation Prix. Kaitlyn Williams and AXIANA would take home top honors in the $2,500 Pyranha Junior/Amateur-Owner/Amateur 1.20m Jumper Classic. Taking home top honors in the $5,000 Summit Joint Performance Junior/Amateur-Owner/Amateur 1.30m Jumper Classic was Ginny Gale and EVENSONG. Jared Petersen and CATANO 29 would top the field in the $7,500 Junior/Amateur-Owner/Amateur 1.40m Jumper Classic. 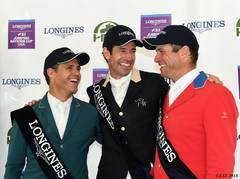 The stakes were raised Sunday afternoon for the $20,000 HITS Open Prix where riders would face a challenging course. Taking home top honors was Damico and WOODSTOCK O in a time of 47.540. Agustin Rosales would take home the red ribbon in the Open Prix aboard CAPELIUS S in a four-fault time of 39.710. Leffler and DALIANTE M would capture the third place ribbon in a four-fault time of 42.008. Magness and INTENZ VAN HD would ride to a fourth place finish, followed by Brian Murphy and MIMMO T.Z. in fifth. to capture the blue ribbon. 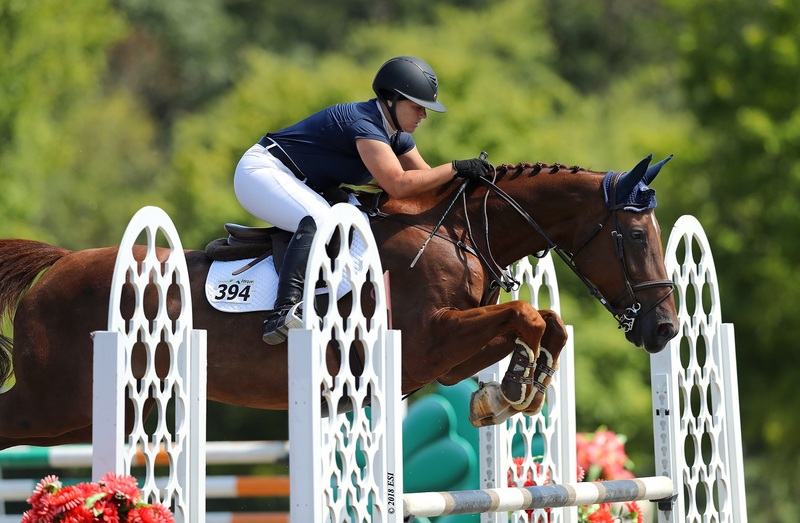 In the Hunter Rings, riders competed for blue ribbons and points toward the Hunter Prix Finals at the HITS Championships, September 5-9 in Saugerties, New York. The Devoucoux serves as the qualifying class for the Diamond Mills $500,000 Hunter Prix Finals and similarly the Platinum Performance serves as the qualifying class for the Platinum Performance $100,000 Hunter Prix Finals. The ladies were turned out in their shad-bellies and and men in their whites for a pleasant Saturday afternoon. Taking home top honors in the $1,500 Devoucoux Hunter Prix was Damico and NEMISIS 11 with scores of 85 in each of her rounds for an Overall Score of 170. Ashley Helms and FRED A STARE would be awarded the red ribbon with scores of 77 and 76 for a two round total of 153. Rounding out the top three was Katie McAfee and CAPPUCCINO with scores of 70 and 80 in their two rounds, for a final score of 150. 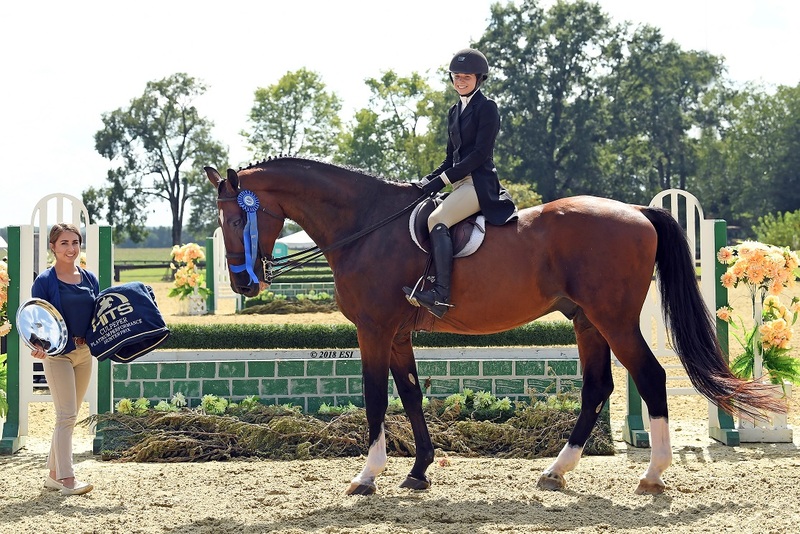 Junior and Amateur riders joined us for the $1,000 Platinum Performance Hunter Prix. Paige Jones and her partner CHARLIE BROWN were awarded the blue ribbon with scores of 77 and 76 for a combined score of 153. Joining us in the Winner's Circle to be awarded the red ribbon was Lydia Davidson and PARK AVENUE, who scored a 72 in the first round and a 78 in the second round to finish with a 150 overall. With an Overall Score of 144, Ana Bertozzi and MISTAKE IDENTITY would be awarded the third place ribbon. $1,000 Platinum Performance Hunter Prix. The Constitution Classic also featured the Culpeper Equitation Classic where Junior and Amateur riders have the option to compete at either the 3' or 3'6" fence height. Taking home the blue ribbon, trophy, and custom cooler was Alexandra Ryan. Ryan would score an 84 to secure top honors in the class. 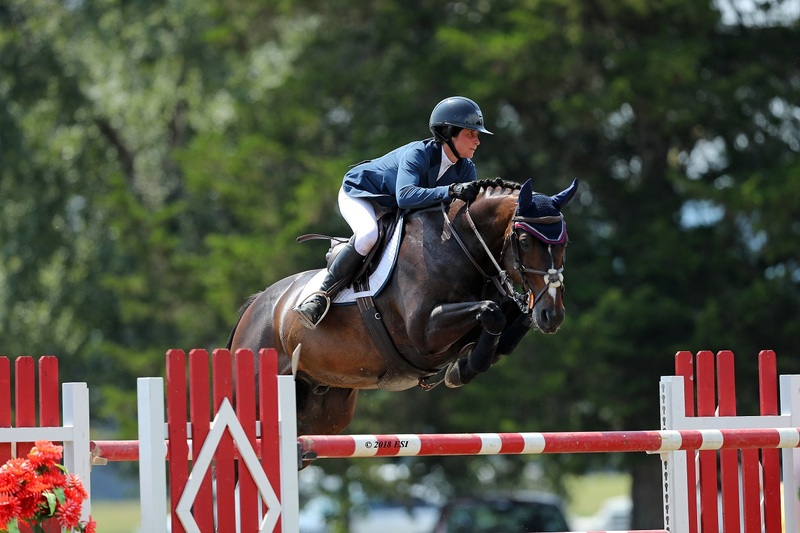 There is still another week of show jumping competition to come at HITS Commonwealth Park. 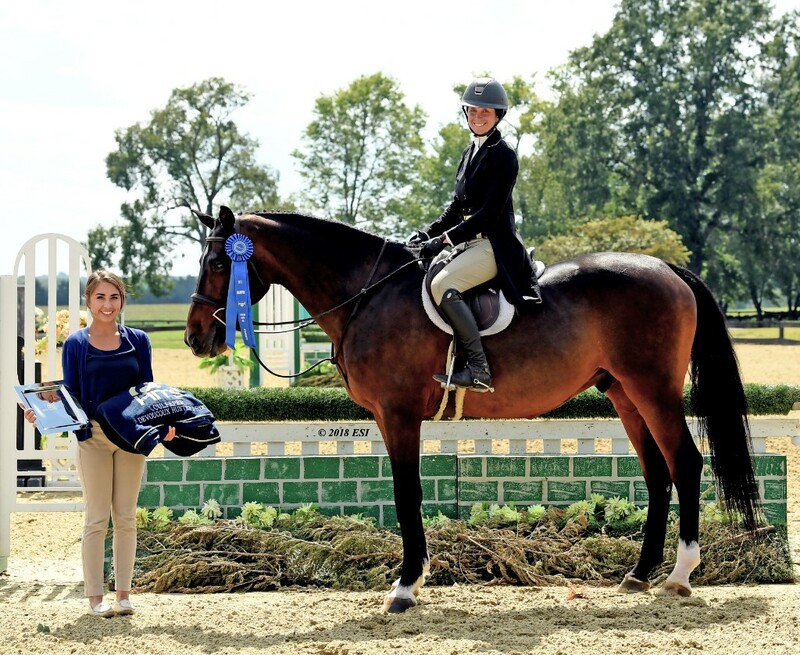 Join us in the Heart of Virginia's Horse Country September 26-30 for the Culpeper Finals. Not only are there still more featured classes but the Horseware Ireland Grand Circuit Champions will also be crowned. For more information, visit the Culpeper Events Page at HitsShows.com. All results from the Constitution Classic are available online. To keep up with the HITS Happenings, visit us online at HitsShows.com or follow us on Facebook, Twitter, and Instagram. There is still time to enter! Check out the Online Entry System, today! For more information on the shows coming up or HITS Culpeper in general, visitHitsShows.com. The complete prize list is available online.